Writer’s block got you down? Do you have several niches but are confused about what industries to pitch for each one? Or perhaps you have just one niche, but are stuck on who you could pitch outside of it? Niche diversification is the name of the game in any type of freelance writing, whether you focus on one niche or several. With mind maps, you can discover new industries to pitch while building authority as an expert in many fields. If you’re unsure about how to make mind maps work for you, I would be thrilled to help you out. 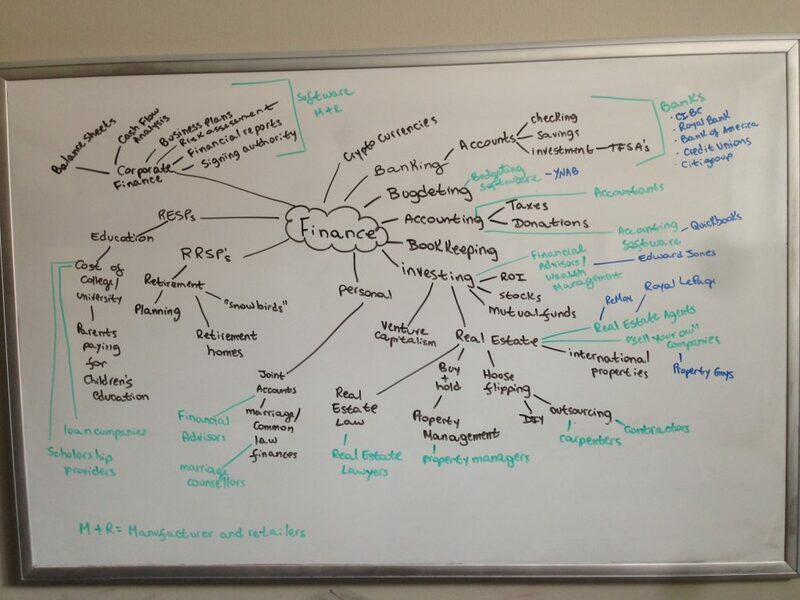 Check out all the great mind maps already freely available for niche diversification here. If you want a personalized mind map, read on. With mind maps, I’ve been able to help parenting writers gain mechanic clients, relationships writers gain funeral home clients, and fitness clients gain real estate ones. These are just a few examples. As a multi-niche writer, I’ve used my experience as a personal trainer to write for parenting magazines, my experience as an exercise expert to write about grief, and more. Thinking outside of the box and seeing connections helps me to extend my experience in order to write in many niches (and get paid for it). And it all starts with mind maps. 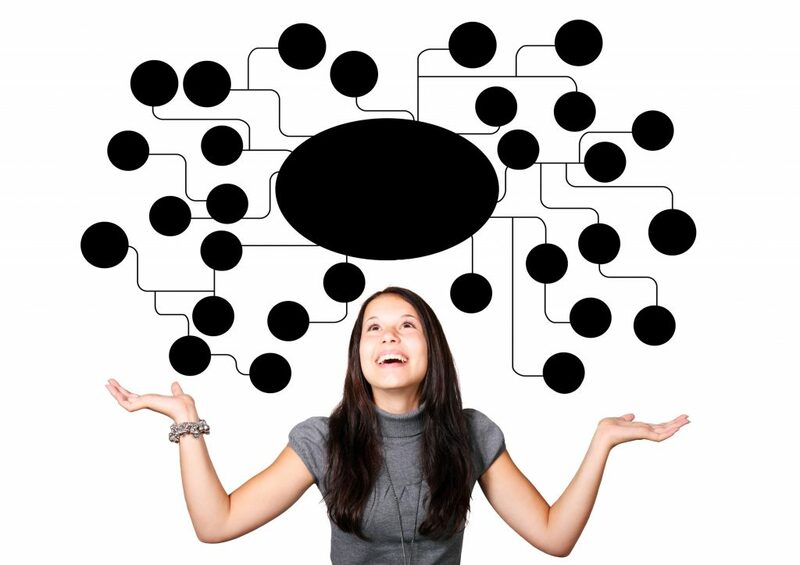 Using mind maps can help you see connections where others won’t, so you can earn more clients and raise your income. By using your expertise in one field and applying it to another, you can grow your earning potential many-fold. I share several niche diversification mind maps on this site, so be sure to check out our mind maps page. 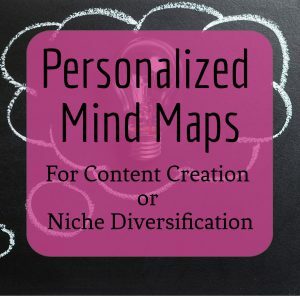 These mind maps should help you diversify several niches. 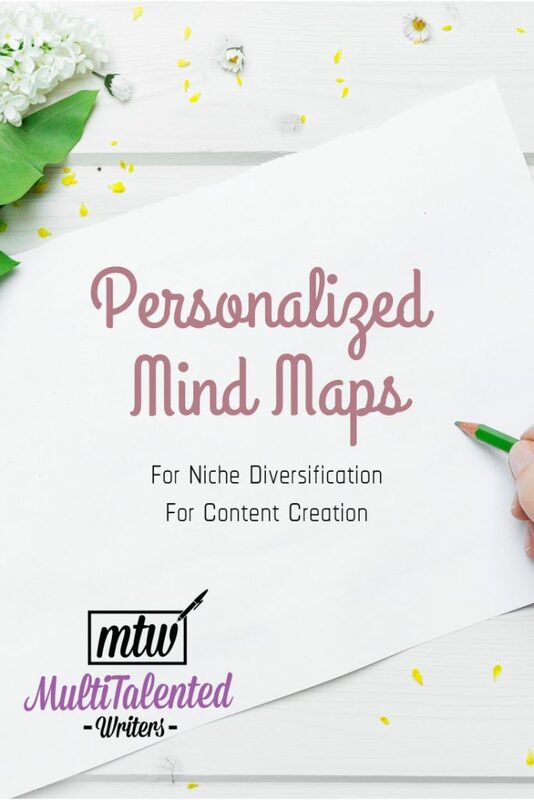 The mind maps already available will be a great asset to your writing business—but a personalized mind map can help you even more. Give me any niche, and I’ll show you how many different industries you could be writing in. Give me any niche, and I can help you see the connections and increase your potential for earnings. 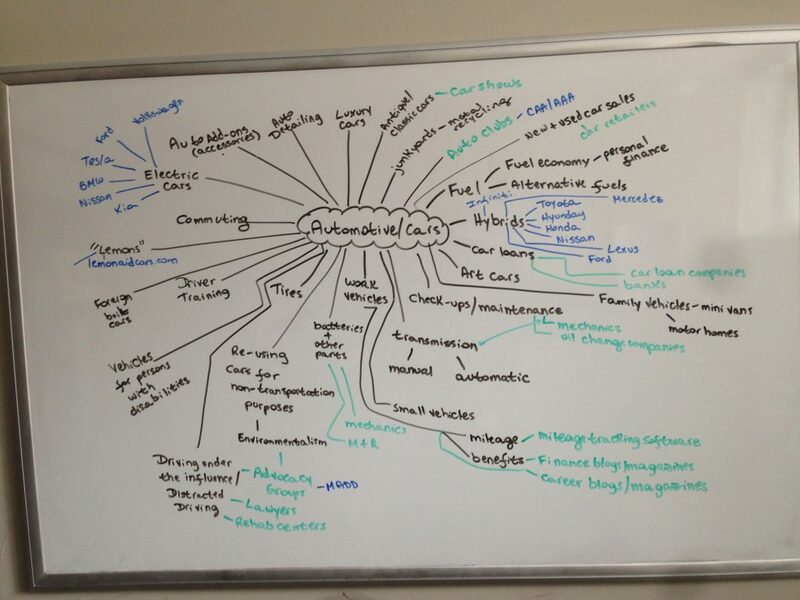 Here’s a mind map I created to help someone who writes about cars to diversify his niche. In blue are some of the companies he might consider pitching. 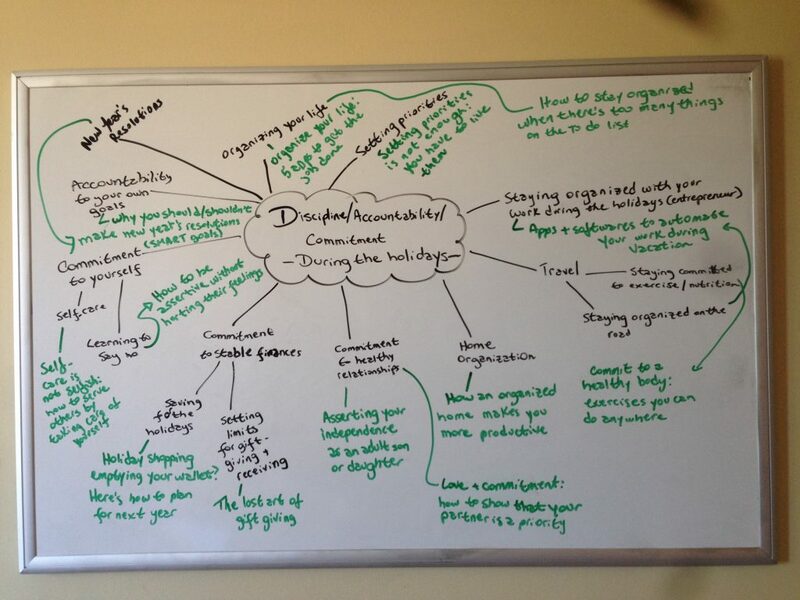 Please contact mariana@dreamsintogoalswriting.com to order your mind map. Are you experiencing writer’s block? Were you given a topic but can’t think of what to write? Mind Maps are an excellent way to brainstorm ideas for any particular topic. 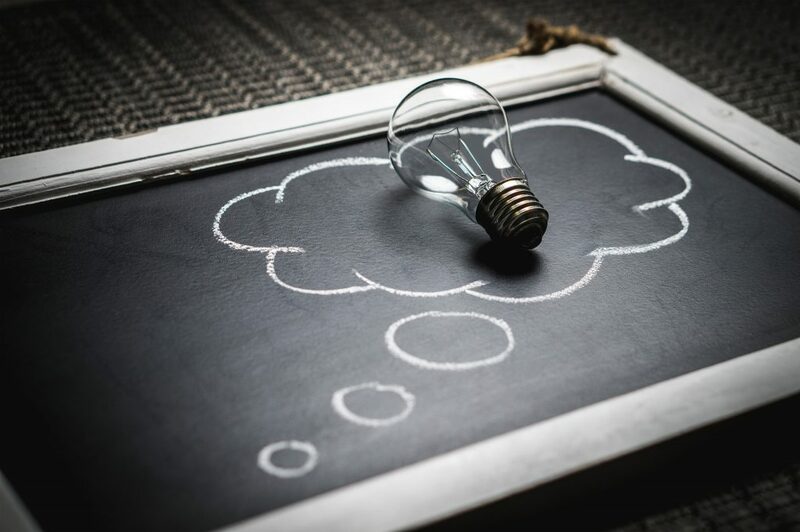 You can think about ideas that are related to your generic assignment, and create many articles and blog posts by referring back to your mind map. Here’s a content creation mind map I made for a client. 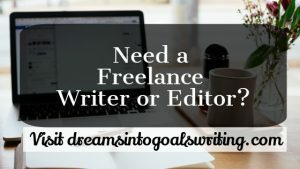 This client is a life coach and needed ideas for holiday-themed blog posts, specifically about maintaining discipline and commitment. This mind map provided several ideas to run a series of blog posts around the chosen topic. Give me any topic, and I’ll provide a mind map showing a minimum of 10 different ways to approach it. These are as authentic as you get. I’ve tried the apps. I’ve tried the generators. There’s nothing that replaces my good old trusty dry-erase board. The connections my brain is constantly making are best suited for old school tools. The mind maps I offer for sale are pictures of my handwritten maps on my dry-erase board. If you would prefer an electronic version, I can provide one for an additional US$30 fee.